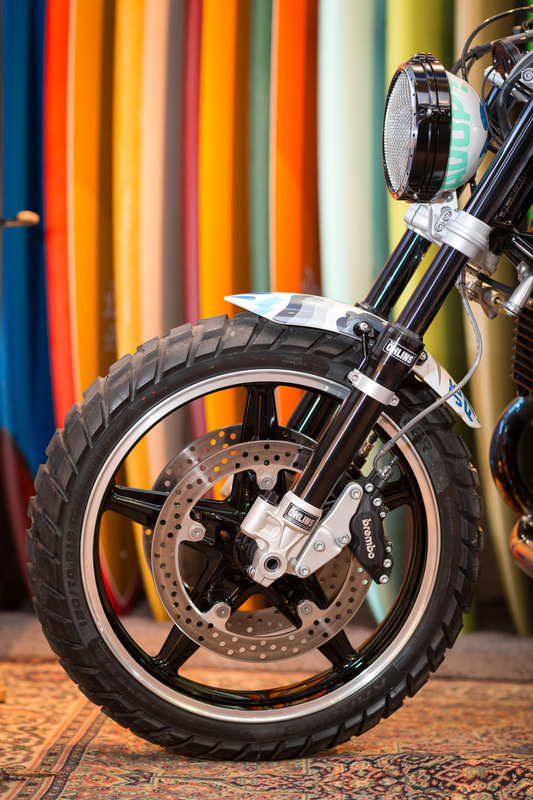 If I had to point to one single indicator of future success in the always turbulent world of motorcycles, it’s going to be which brands are the most authentically engaged in where motorcycle culture is headed. 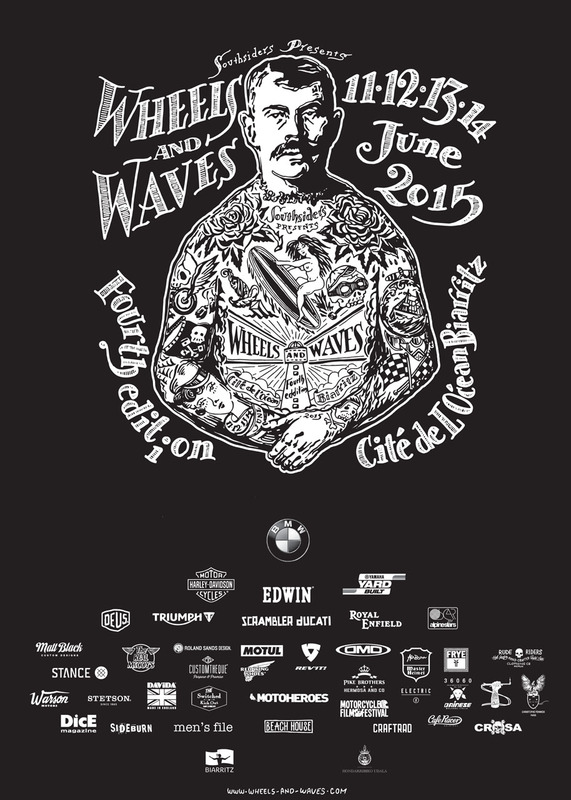 This, in contrast to those brands who are still rooted in where motorcycle culture was seemingly twenty years ago. 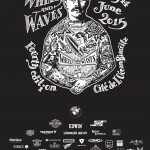 One could short hand this as brands who “get it” and those who don’t. 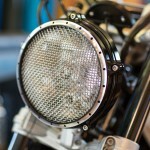 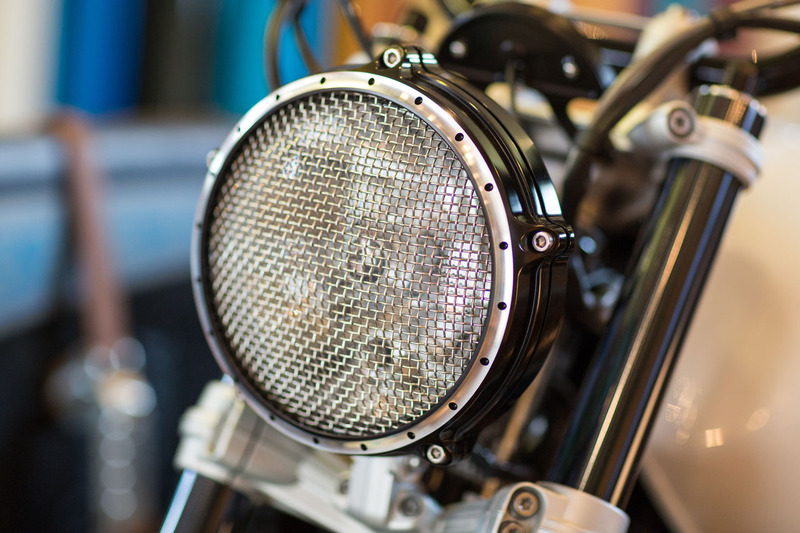 Where motorcycle culture is now, and where I think it’s headed, is an interesting mix of modern tech and nostalgic style. 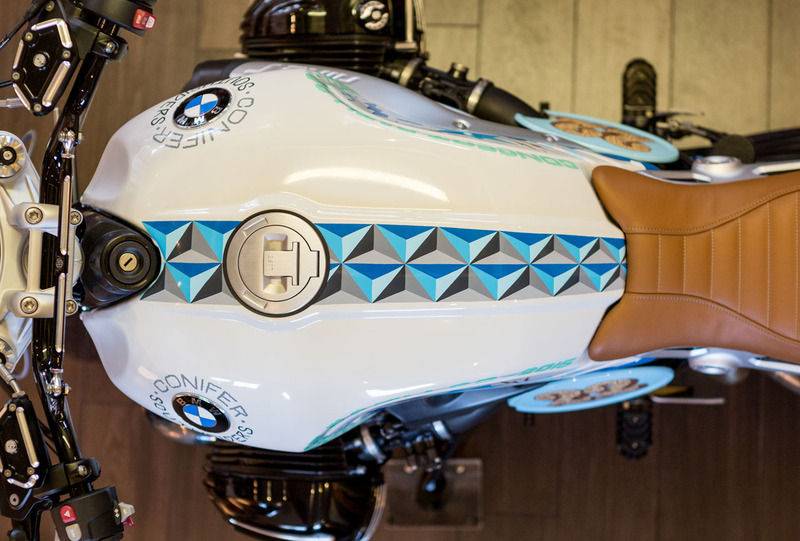 This, mixed with a healthy dose of personalization brought in not by designers at BMW, but by artists and builders in the community at large. 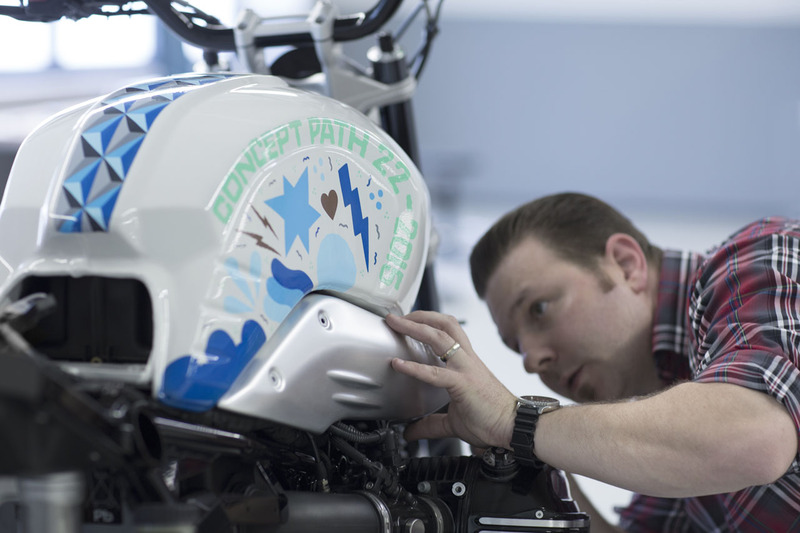 These principles are heavily at play in BMW’s latest custom creation, the Concept Path 22. 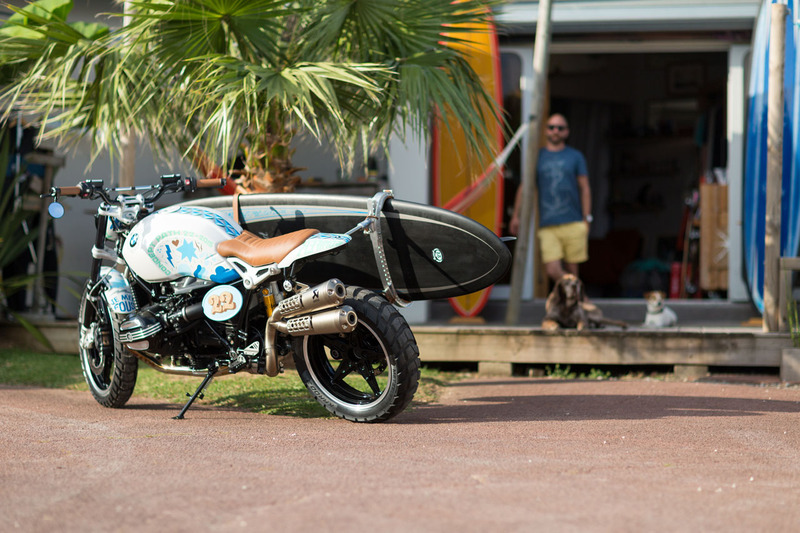 Forgetting for a moment about how scramblers are the new cafe racers, the form factor isn’t the most interesting thing about this bike, as far as I’m concerned. 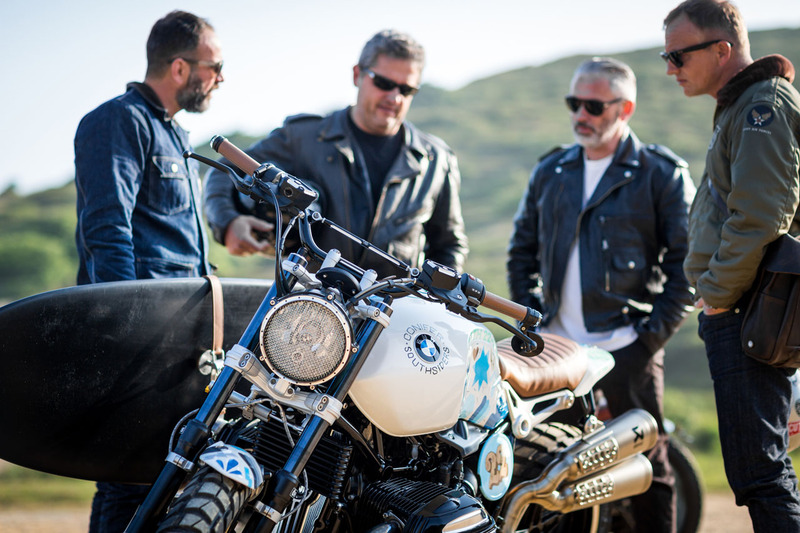 Yes, we’re expecting a scrambler-style bike from BMW based on the R NineT as part of a whole lineup of stylish off-shoots. 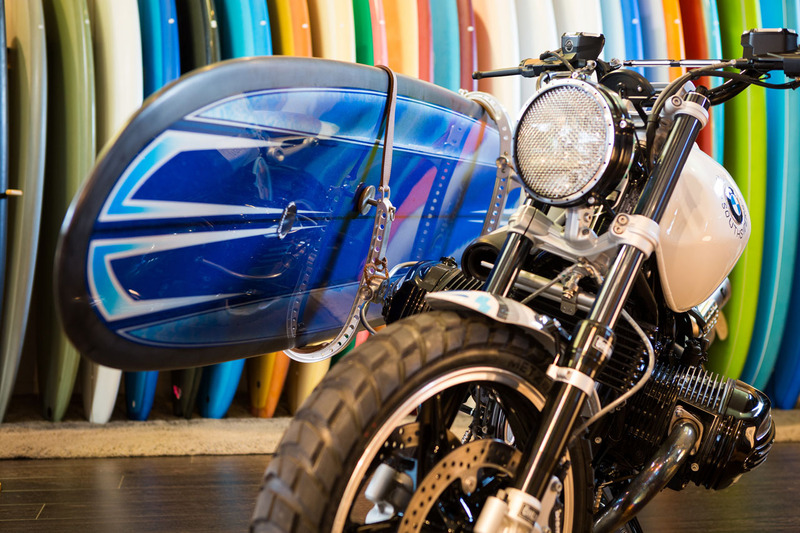 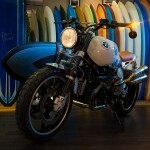 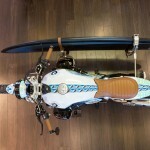 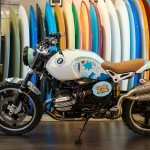 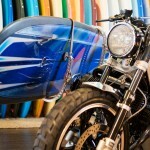 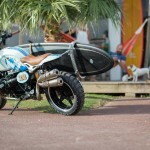 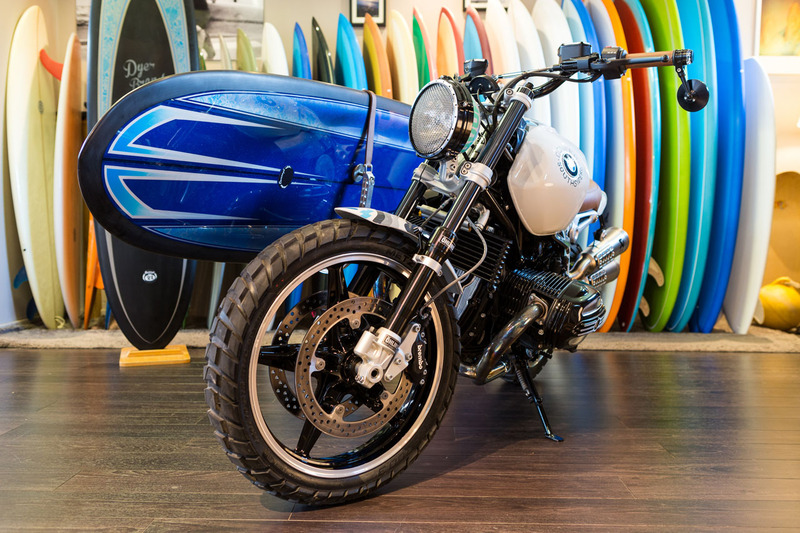 We’ve also seen the surfboard holder on the custom scene from Deus Ex Machina for years now. 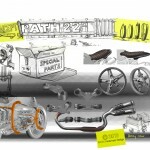 For me, it’s the details on the Path 22 that are so compelling. 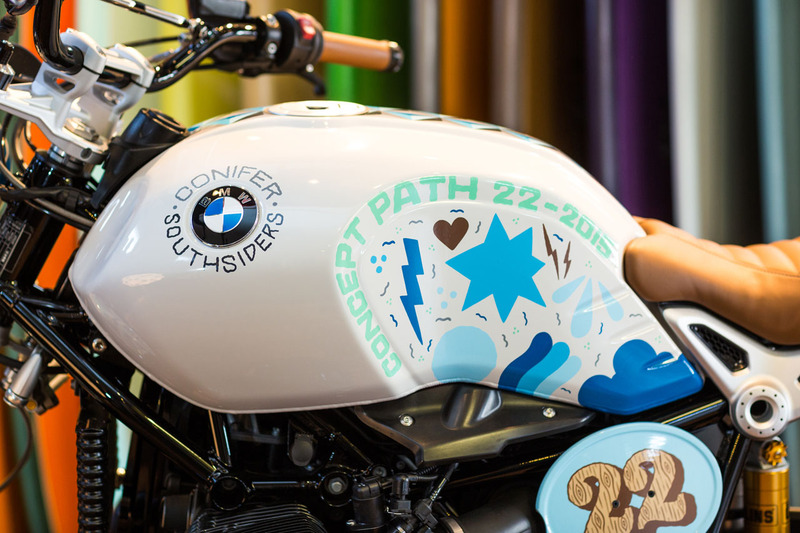 In particular, it’s the contribution of artist Nicolai Sclater, aka Ornamental Conifer that make the Path 22 something special. 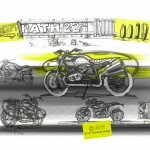 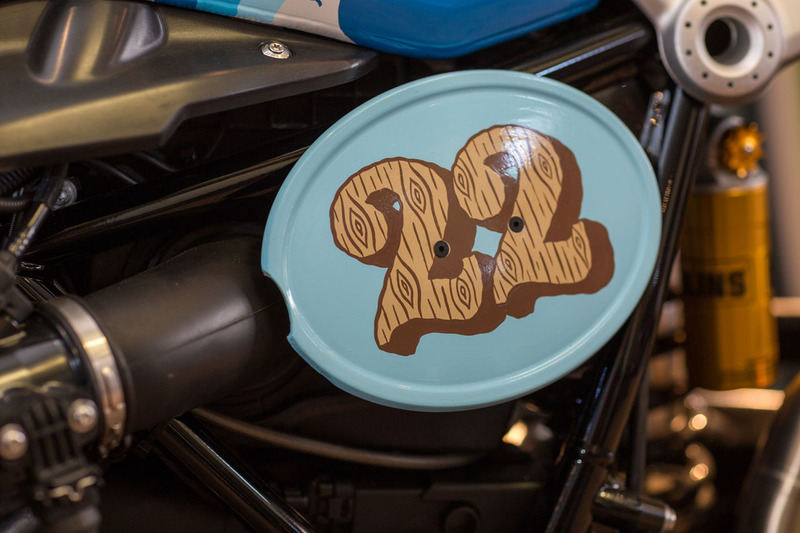 Sclater has been applying typographic cool to custom motorcycles for as long as I’ve been tuned into the scene. 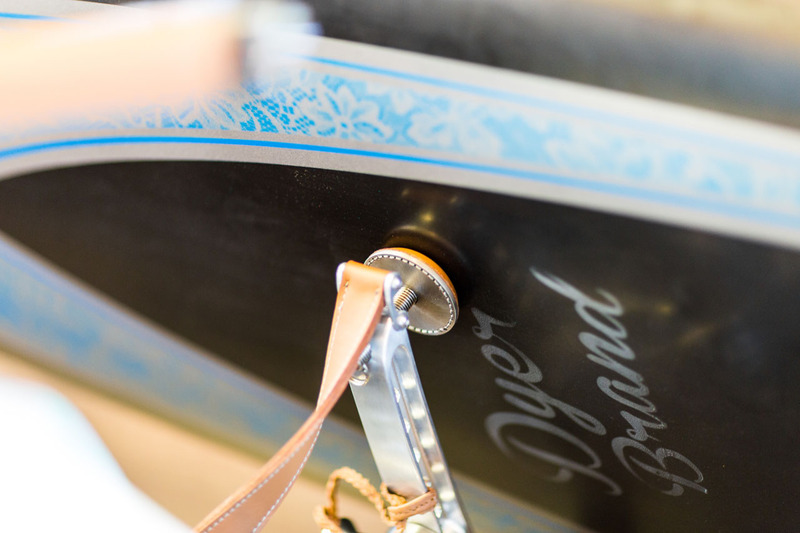 His distinctive style is unmistakable at this point. 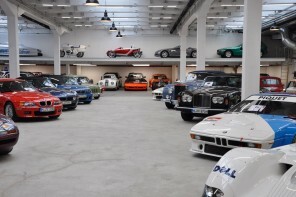 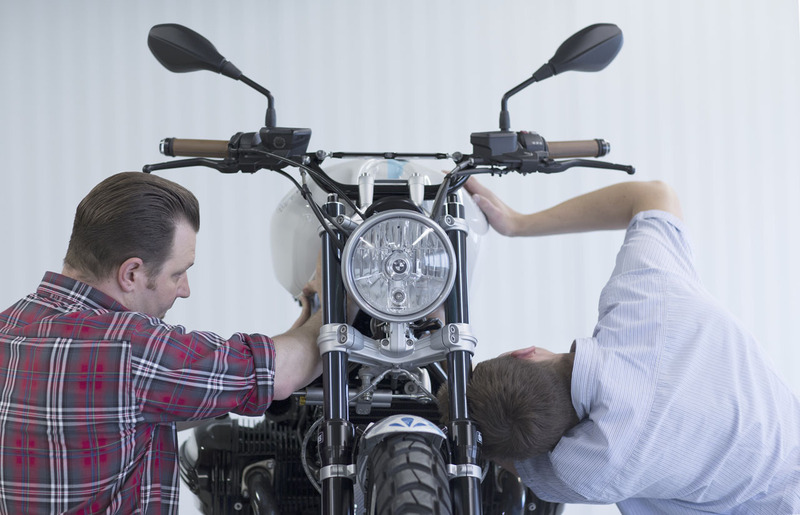 Kudos to BMW for actually bringing him in on the project as opposed to just copying his style. 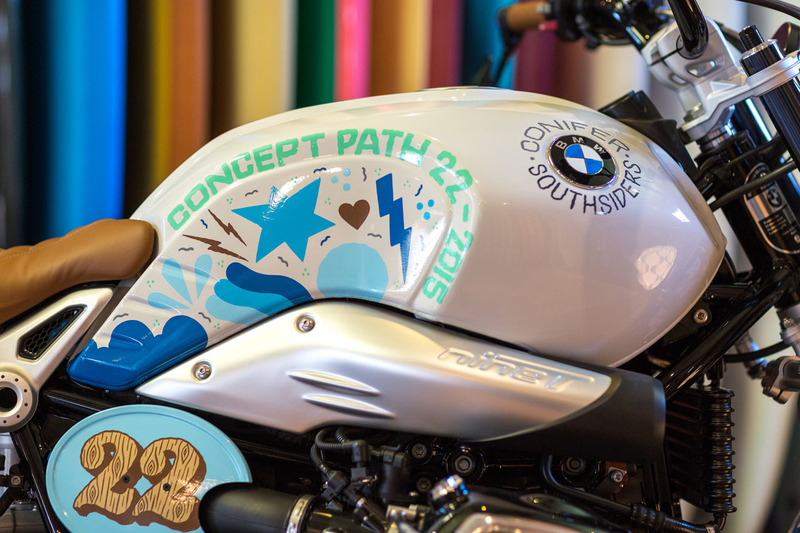 Many brands get this wrong — ripping off artists. 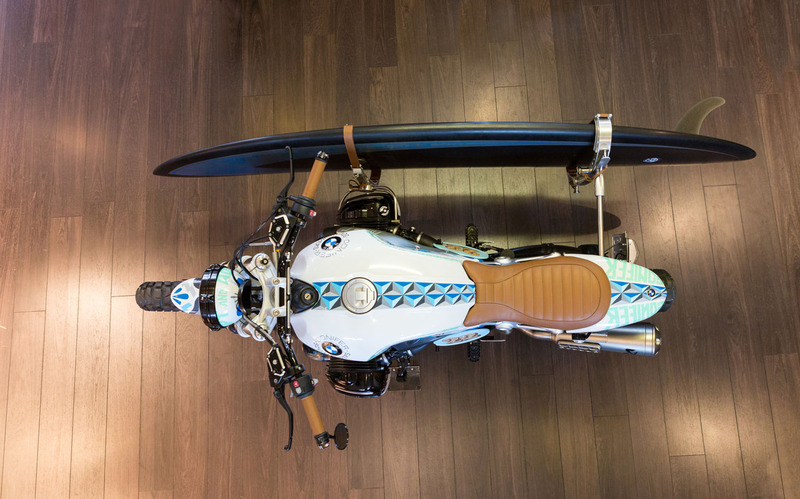 All that said, let’s look at the bike itself. 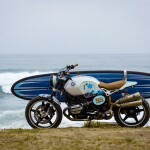 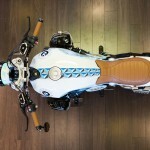 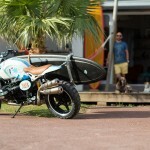 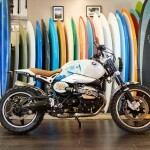 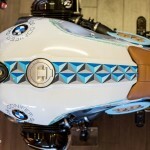 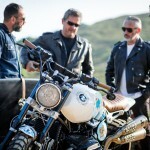 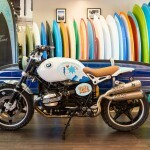 Obviously the underlying chassis, engine and tank are taken from the R NineT. 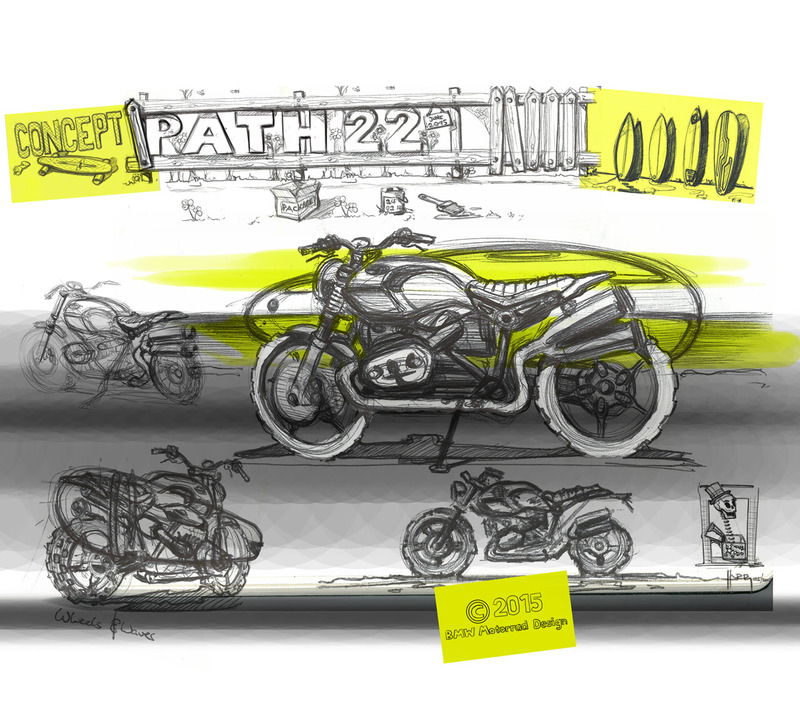 The Path 22 goes further though, pushing not just into scrambler form factor, but into many of the same staples of premium custom bikes built around the world. 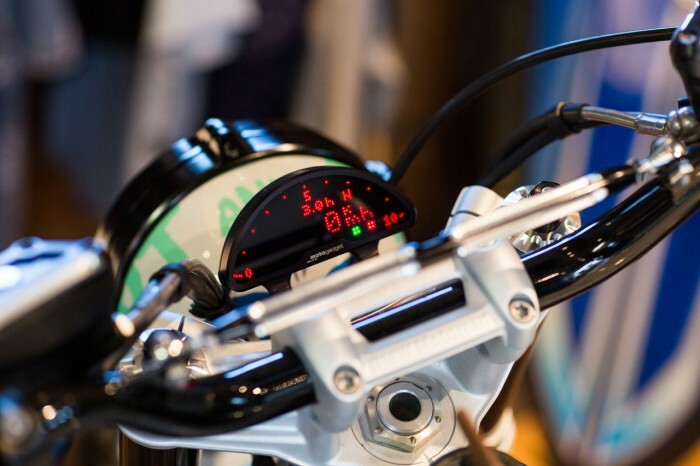 For example, the Path 22 features gauges and indicators from premium electronics manufacturer Moto Gadget. 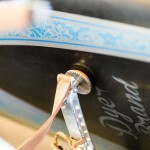 These are touches that many custom builders are utilizing on their builds these days. 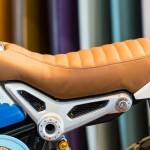 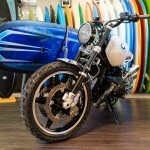 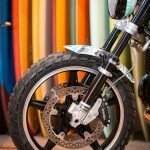 These premium details are in stark contrast to the plethora of bargain bin, bolt-on baubles most home customizers typically opt for. 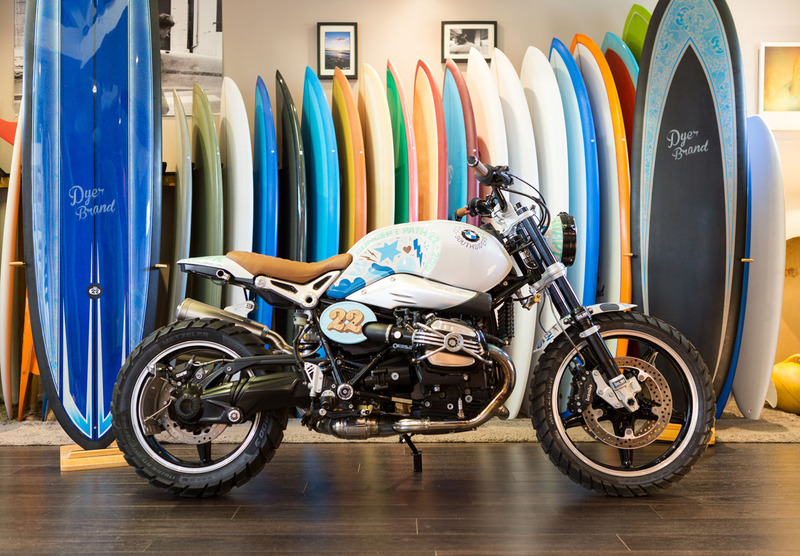 What’s interesting about the choice of Moto Gadget fixtures on this bike is how it’s almost an admission on the part of BMW as an OEM. 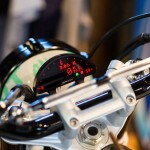 That is, “Yeah, we don’t like stock gauges either.” Herein lies the paradox of when OEMs do elaborate custom bikes like this. 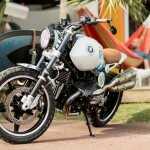 They’re obviously capable of thinking outside the proverbial box, yet bikes like this never come to market. 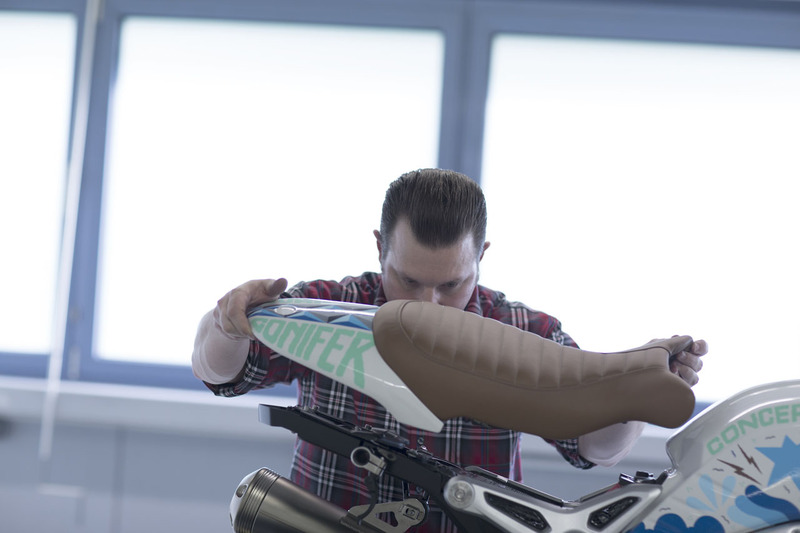 Is it truly because the general public won’t buy them, or are manufacturers simply too gun shy and cash strapped to find out? 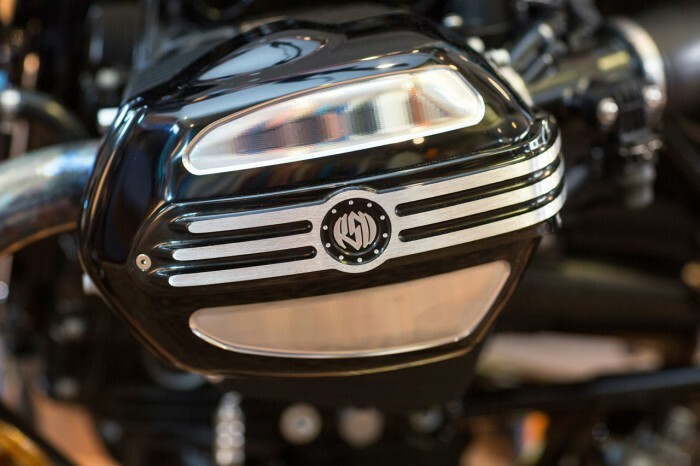 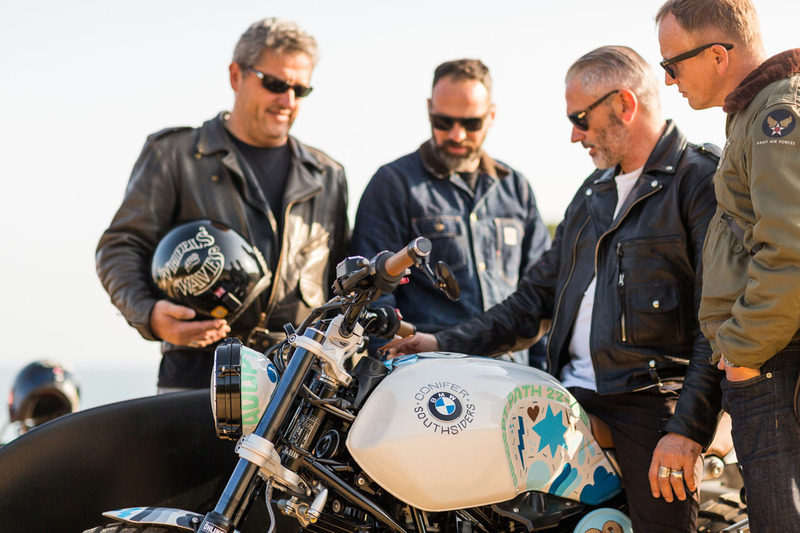 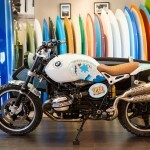 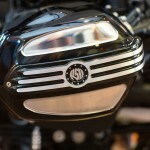 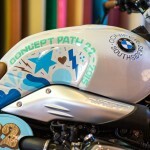 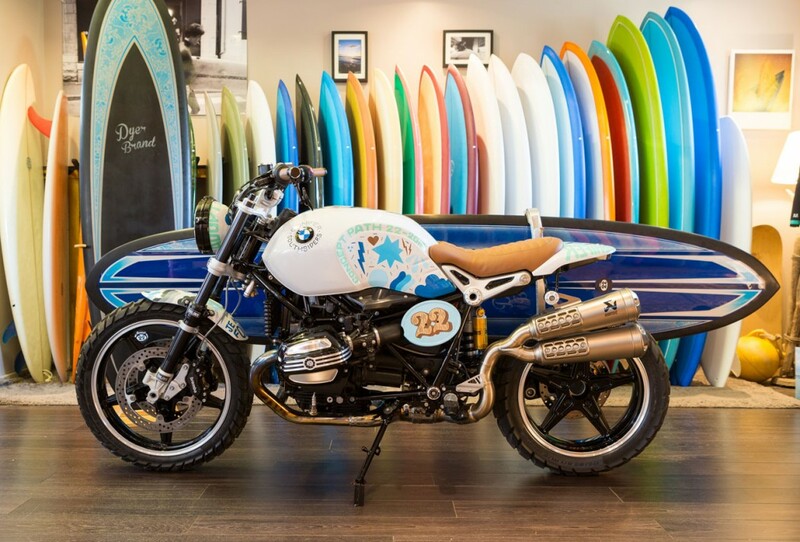 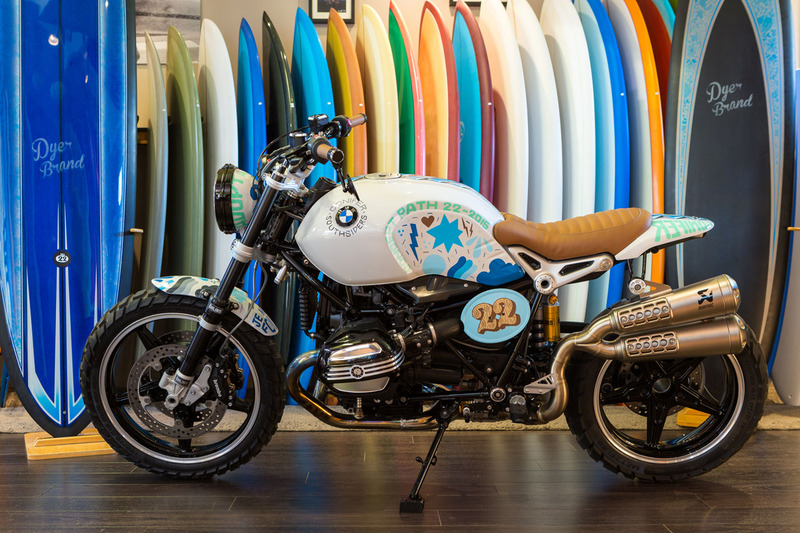 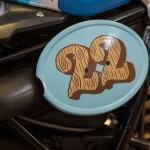 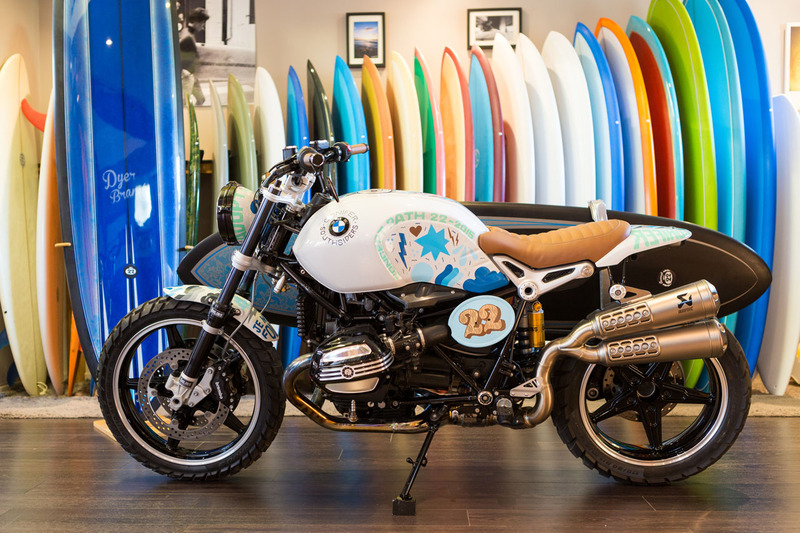 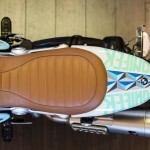 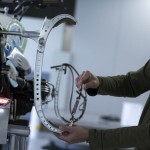 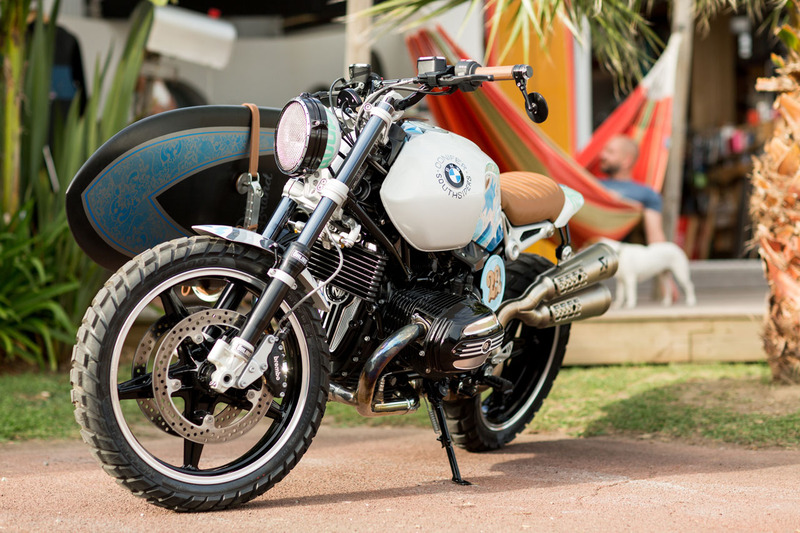 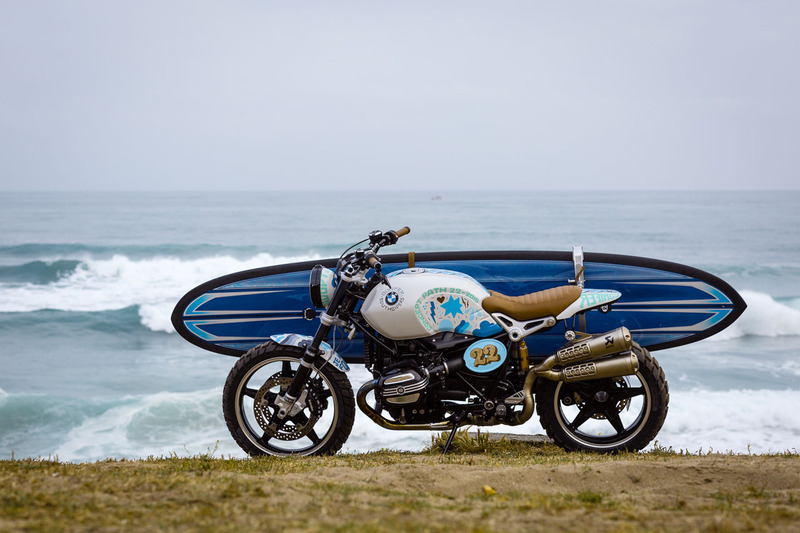 The Path 22 also features, unsurprisingly, a number of key custom details from Roland Sands, whose own custom boxer bike, the Concept Ninety, predated the actual market unveil of the production R NineT. 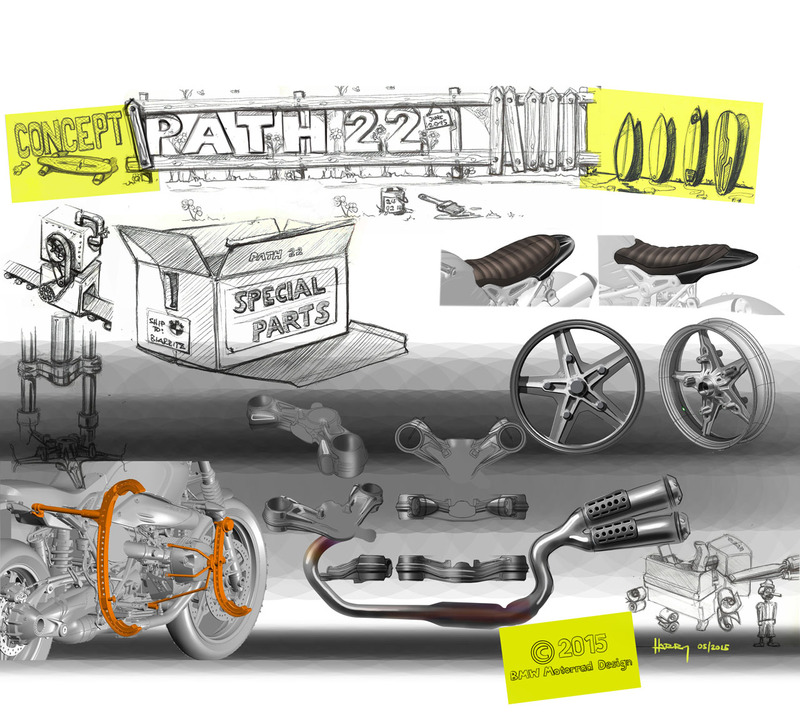 If you look closely, you can spot the same RSD engine covers on the Path 22, which are now available directly from RSD. 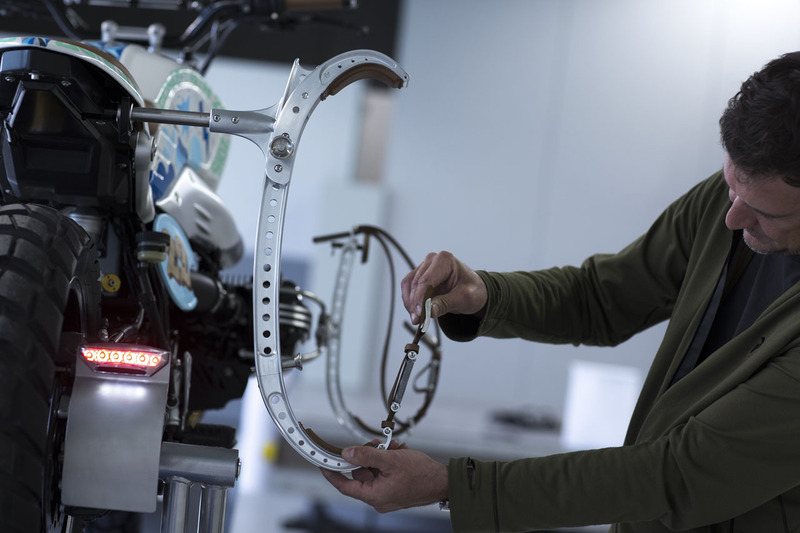 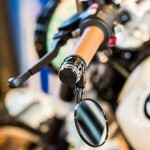 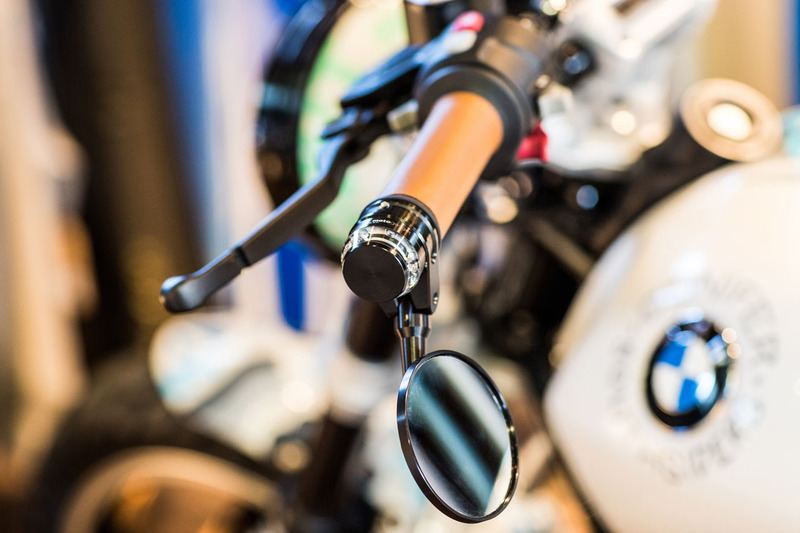 A taller overall suspension was provided by Ohlins, but in an interesting turn, the front suspension on the Path 22 is not the same upside-down fork and radial brake combo found on the standard R NineT. 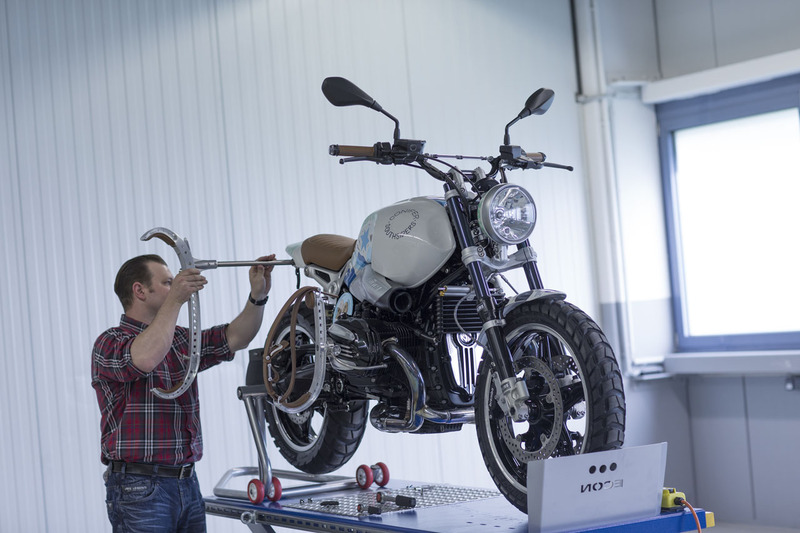 This, in addition to the Path 22’s cast alloy rims are indicative of somewhat lower cost components that we’d expect to see on a production BMW R-Scrambler, considering that BMW wants to be price competitive with Ducati’s already venerable bike of the same name. 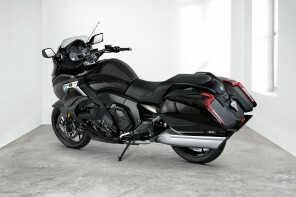 That said, BMW has plenty of experience tuning up traditional right-side-up forks for optimal handling. 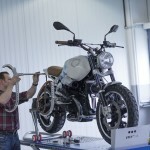 The difference in unsprung weight will be marginal in the end, but the cost of these more conventional components will help the R-Scrambler hit its desired price point. 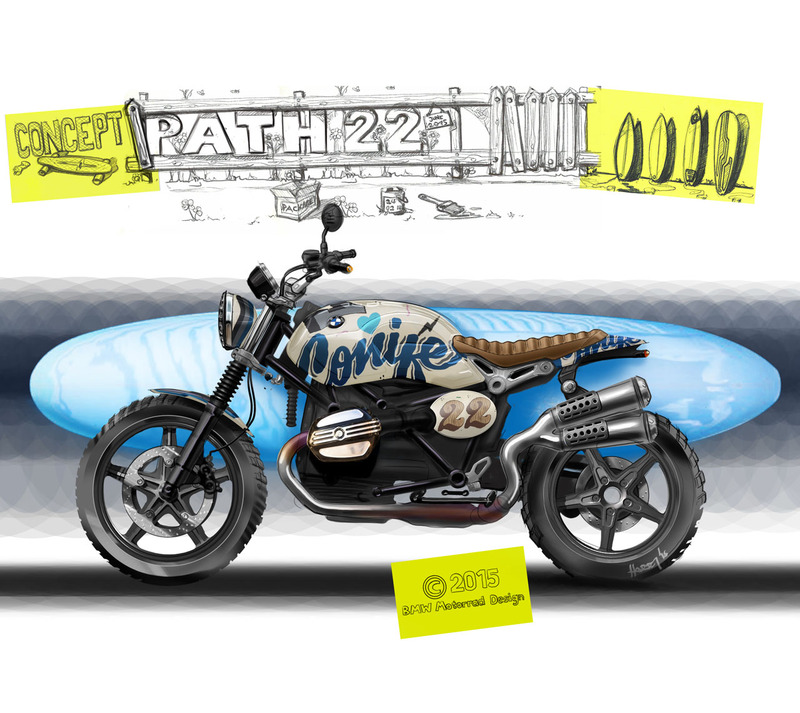 The last detail worth mentioning is the Path 22’s stainless steel two-into-one-into-two exhaust and solo seat combo. 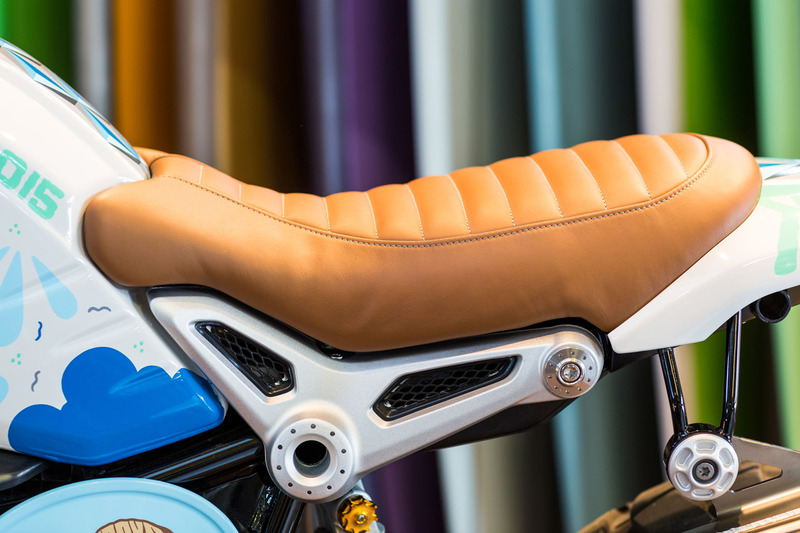 I’ve grown rather fond of high exhausts and solo seats myself, as I rarely carry a passenger. 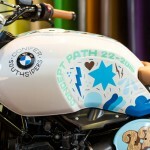 Yet in the case of the Path 22, there’s a deeper sense of individuality there, it seems. 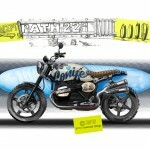 BMW frame the Path 22 as an expression of personal freedom — as a bike perfect for making your escape. 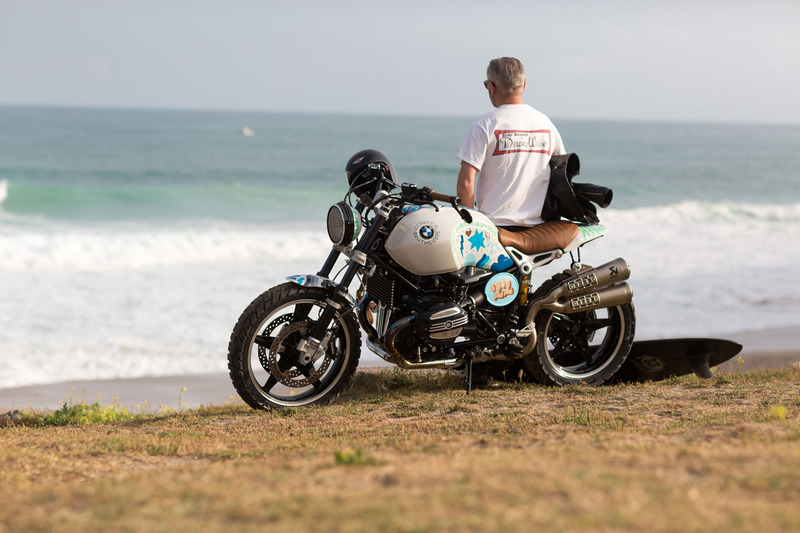 Sometimes that really is a mission best taken solo. 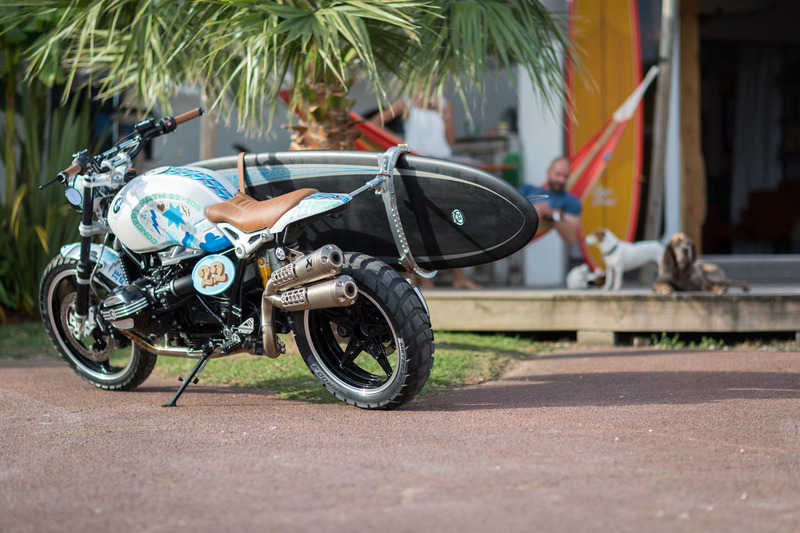 I particularly like the somewhat tracker-style rear fender treatment. 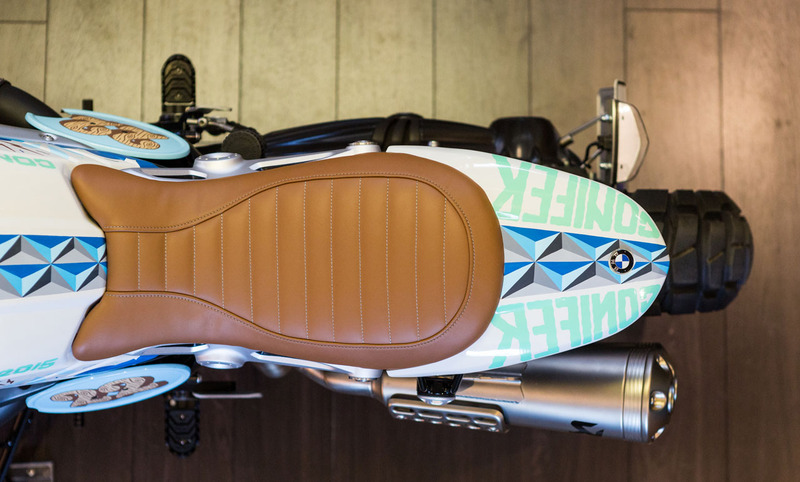 While it won’t keep much sand off your backside, it definitely complements the lines of the motorcycle. 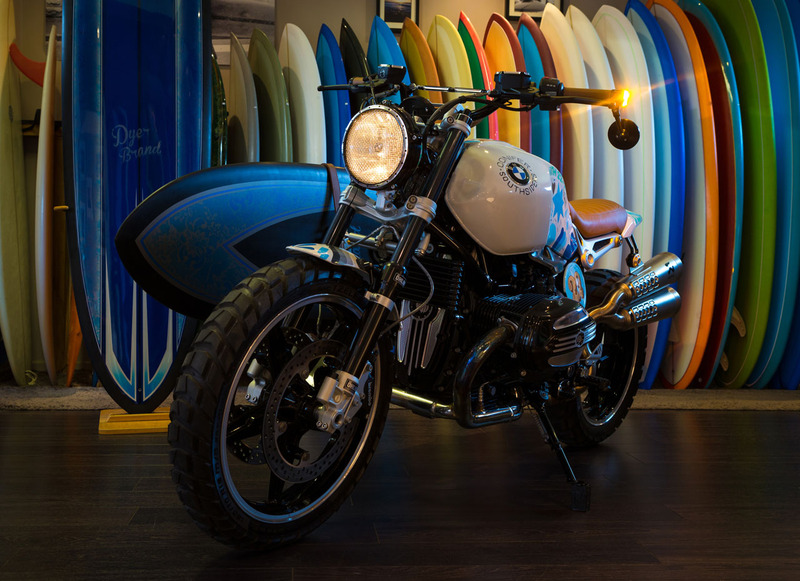 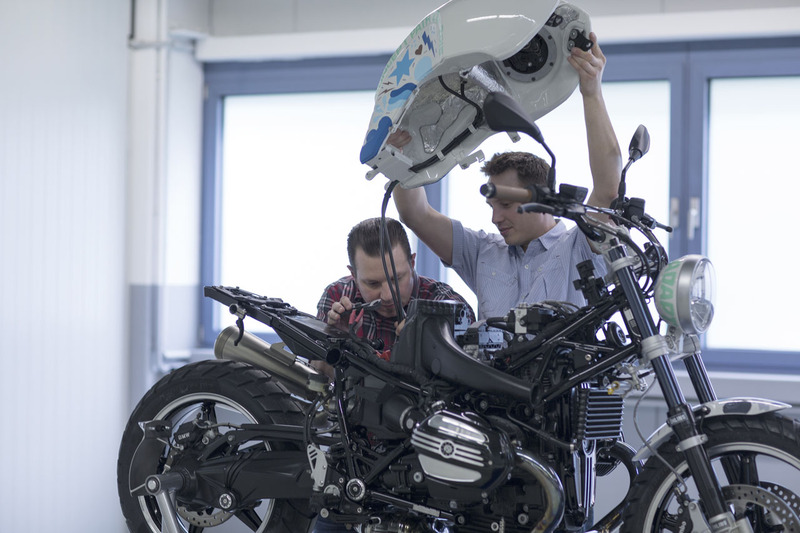 The R NineT is already so compact — already feels like it’s just an engine with a seat and two wheels attached — that tidying up of the rear end complements the bike’s root proportions perfectly. 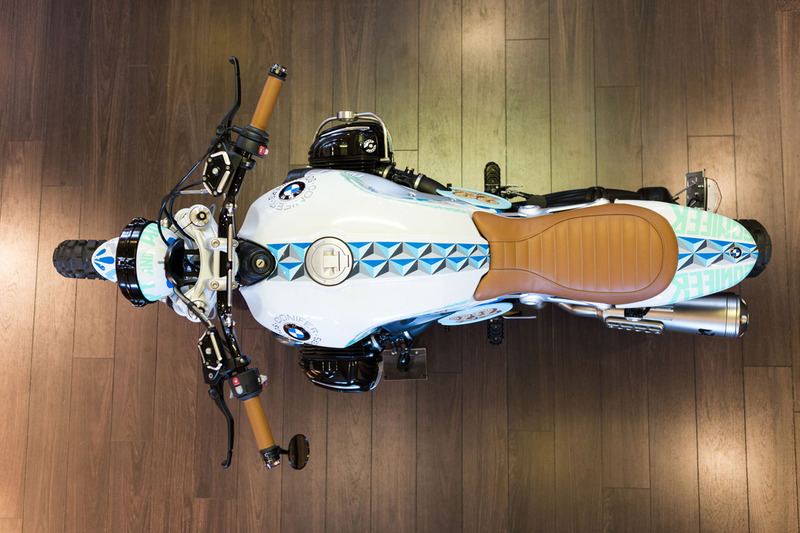 Truth be told, the seat options on the current R NineT are my least favorite details, so it’s encouraging to see BMW go in new directions.